1. 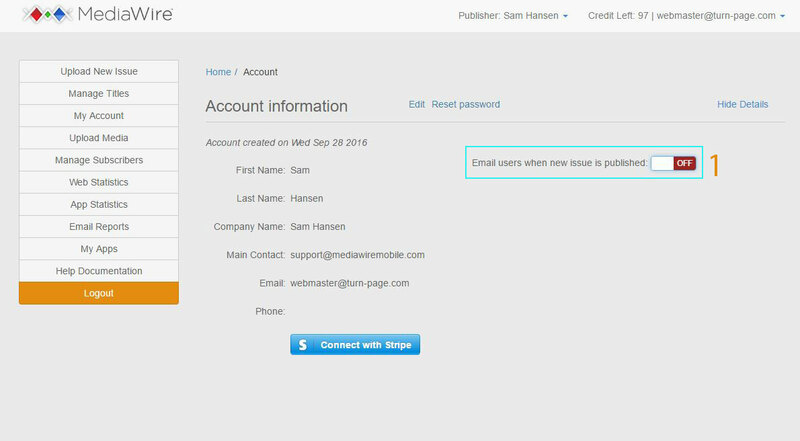 If you would like your users to be notified via email when you publish a new issue you must first turn this option on by navigating to your “My Account” page and clicking the toggle . 2. 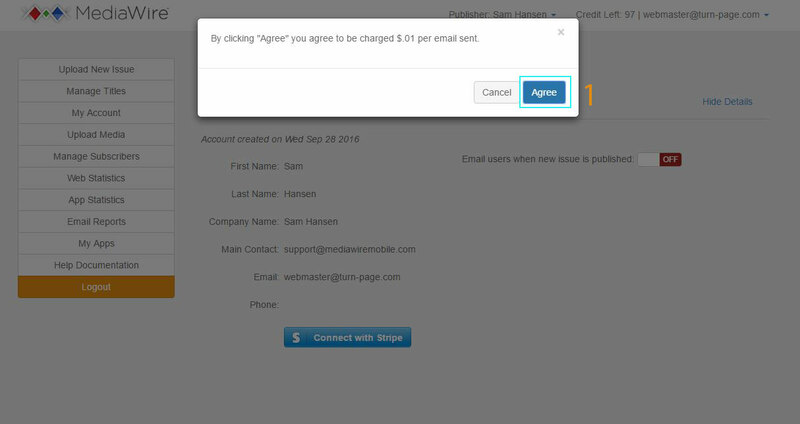 Before the system enables this option it will ask you to agree to be charged $.01 per email sent, you must agree to these terms  in order to use this feature. 3. 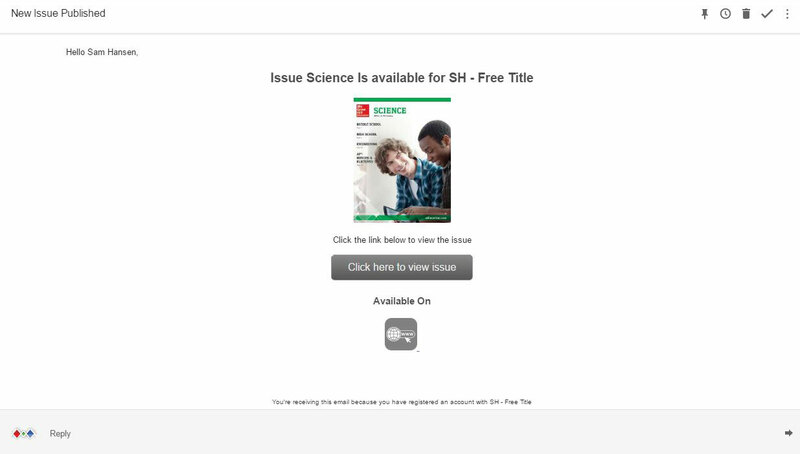 When this feature is enabled, every time you publish an issue by clicking the “Publish” button  your users will receive an email informing them of the newly published issue. 5. 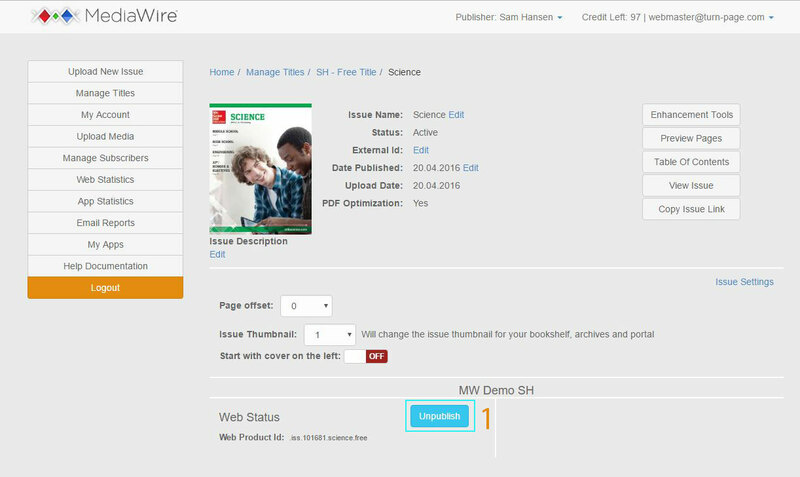 To view your statistics for the emails sent you can navigate to the “Email Reports” page . 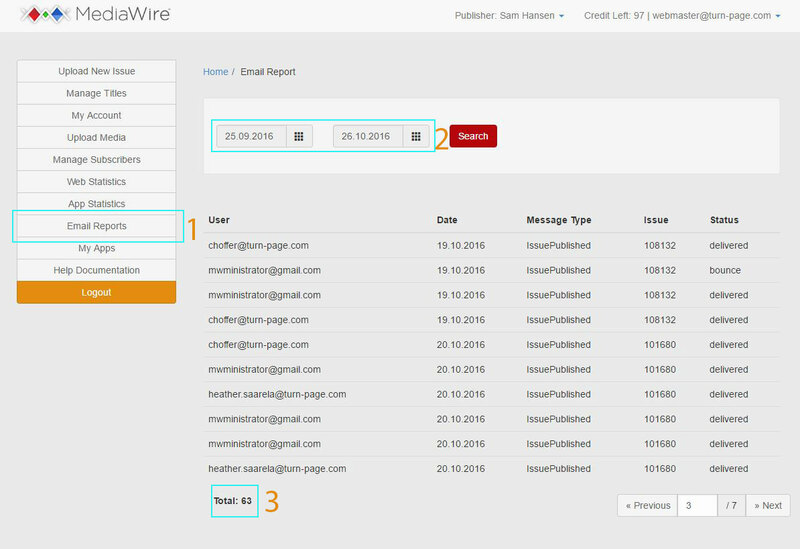 While viewing the “Email Reports” page you can change the date range for the statistics . You will see the total number of emails sent at the bottom of the page for the current date range , this is the number you will be charged for.